The company said that although the authorities did not approve the EIA study at this time, the company has 15 business days to provide a re-evaluation to the authorities to initiate a review process. Sierra Metals (TSX:SMT) has reported that its subsidiary in Peru has received a response from the National Environmental Certification Service (SENACE) whom are the evaluator for natural resources and production projects in Peru with respect to its recent environmental impact assessment (EIA) study for the expansion of the tailings deposition facility at the Yauricocha mine. The company said that although the authorities did not approve the EIA study at this time, the company has 15 business days to provide a re-evaluation to the authorities to initiate a review process. As it stands today, this will result in a delay in the company receiving an approved EIA study, which would enable the company to proceed with a construction permit for the next three phases of the tailings damn extension, and for the final submission of the ITS document, which upon approval, would allow the company to expand mine output 20 percent to 3,600 tones per day. Sierra Metals firmly believes that all of the required documentation was submitted, demonstrating complete fulfillment of all the requirements for the EIA study approval. The company will now proceed to present a new proof of response to these requirements. 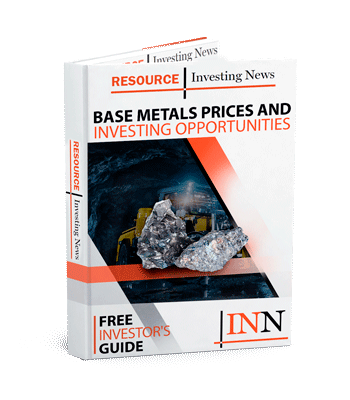 Click here to read the full Sierra Metals (TSX:SMT) press release.